Homepage / Bird/Aves / Are Penguins Birds, Why are Penguins Considered Birds? 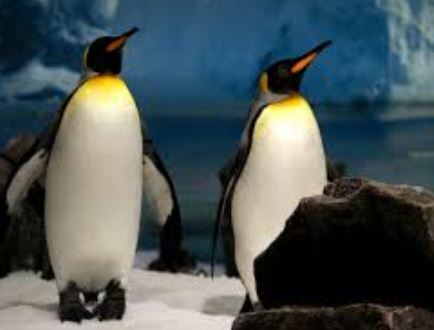 Penguin… Like seabirds, penguins have a waterproof fuzz that does not get wet with water. In addition, they have a membrane between the toes, which makes their legs work like real flippers. So, despite being awkward enough to walk and not able to fly, penguins can swim very well, so much so that some species even spend 70% of their life in the water. Penguins feature the dark dorsal region and white belly just to blend in with the environment while swimming. The predator in the water sees only his white belly, which merges with the sky. In turn, the predator that is out of the water sees only the dark back of the penguin, which merges with the sea floor. Thus, the nice seabird can manage to stay safe. Like other birds, they are also born of eggs, have beaks and wings. But the fins, modified in fins, are quite muscular. They are typical of the coldest areas of the southern hemisphere, and most species mate only once a year during the warmer season. The incubation period lasts from one to two months, and both the father and the mother take care of the puppy, taking turns in the functions of protection and search for food.